Brassberrys Painting and Coating is a family-owned company since 1994. We are licensed, bonded and insured. We paint both interior and exterior of residential and commercial projects. Owner is on site at all times. Our superintendent, Nick, has over 30 years experience in the valley. 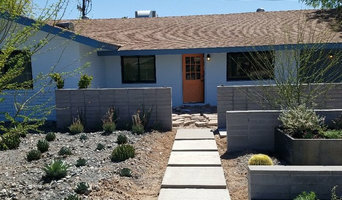 We service all areas of Arizona, depending on the size of the project. Brassberrys Painting is a LEAD certified company and a member of the PDCA. We have a grade "A" on Angie's list. We have never, to date, had a complaint with the Registrar of Contractors. Customer satisfaction is our goal! Quality always matters when it comes to your Phoenix home, right down to the painting contractor you choose. Savvy homeowners know that the company to call on is Envision Painting because we handle each job with the professionalism it deserves. The trick to a successful paint job is combining both quality products with a skilled painter. You can rest assured that our commitment to excellence will show through in the work we do for you. Arizona Painting Company has been in business since 2001. 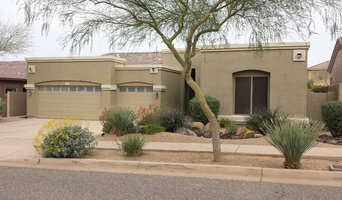 Servicing Phoenix and Tucson, Arizona Painting Company specializes in residential house painting and commercial painting, both interior and exterior. We are the top painter in Scottsdale, Phoenix, Chandler, Gilbert, Tucson, Oro Valley, Vail, Casa Adobles and Catalina Foothills. We pride ourselves by setting the standard for all other painting companies to strive for. Whether talking with one of our sales representatives on the phone, greeting our painting contractors at the door, or shaking hands with our production manager once the project is finished, our customers enjoy working with The Arizona Painting Company just as much as we enjoy working with them. Adix Painting in Phoenix, AZ can assist you in all aspects of your interior painting job. We work with you in planning out a room work schedule to make the interior painting job as easy as possible. Our interior and exterior painting tactics have won us multiple awards for quality custom home painting. Visit our website to see our award-winning projects: www.adixpainting.com. Nothing improves the look and feel of your interior as quickly and affordably as a good paint job. Choose colors that reflect your personality to create spaces that are calming and inviting. We can help you to use color to create maximum impact in the interior of your home. We will help you pick out the right colors for your interior painting work and then, skillfully and carefully take you through the interior painting process. We specialize in a timetable that doesn’t interfere with your daily routine. We believe that in addition to being completely proficient in all aspects of the painting trade, excellent painting results come from the thoroughness of our preparation work, especially pre-paint masking of floors and covering furniture, cleaning walls, ceilings and trim, crack filling, sanding, patching and caulking - all according to PDCA standards, or higher. Adix Painting can assist you in all aspects of your interior painting job. We work with you in planning out a room work schedule to make the interior painting job as easy as possible. We will help you pick out the right colors for your interior painting work and then, skillfully and carefully take you through the interior painting process. We specialize in a timetable that doesn’t interfere with your daily routine. We believe that in addition to being completely proficient in all aspects of the painting trade, excellent painting results come from the thoroughness of our preparation work, especially pre-paint masking of floors and covering furniture, cleaning walls, ceilings and trim, crack filling, sanding, patching and caulking - all according to PDCA standards, or higher. Next Level Painters was founded in 2007 by Fernando De Sousa. Fernando has more than 15 years of experience in the painting industry. He has worked for high end painting companies in Manhattan, New York before deciding to start his own business on Long Island. Next Level Painters is alive and thriving back in NY, and is now branching out here in the Phoenix, Arizona area. Next Level Painters is an extremely organized painting company! We strive to increase efficiency to continue improving our service and final product. Our company takes great pride in the fact that our painters are highly trained professionals who far surpass industry standards. We also pride ourselves on our integrity. Our word is our bond, and we deliver what we promise. Finally, we promise open and honest communication. We are friendly, reasonable painting contractors who respect our customers as individuals and expect the same fairness in return. 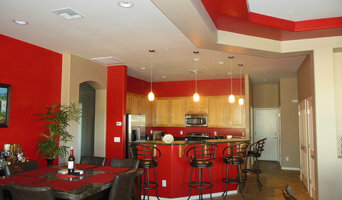 Seneca Painting offers professional and reliable painting services throughout the Phoenix metro area. Our goal is to complete our work thoroughly and efficiently in order to achieve the highest level of customer satisfaction. Communication and dependability is instrumental to our success. Unlike typical hired contractors, we show up when we say will, keeping your projects on track and on time. Our years of experience has created an unparalleled process for prepping any surfaces to be painted, ensuring a quality job that will last.Our goal is to make certain that our clients are completely happy and to create a long term relationship. Elite Custom Painting & Cabinet Refinishing Inc.
Our company has many years of experience, working with everyone from Investors to Custom Home Builders. Elite Custom Painting & Cabinet Refinishing, Inc. offers a prompt project completion you would want from a professional painter. You can utilize our skilled team to paint a single room or an entire building. 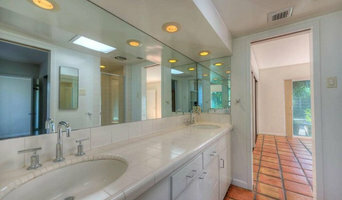 We believe you’ll be happy with the final results of our professional team, and work ethic's. I have been painting since 2001. I worked with a decorative painter for over two years, improving my skill and learning new techniques. I am very detailed and results driven. I look forward to serving your painting needs. Painting is the least costly and most efficient way to change the look and feel of your home or office!